About Barbados : The Fun Barbados Travel Guide has the information on hotels, car rentals, tours and more that you're looking for. All about Barbados... The Fun Barbados Travel Guide! elcome to Fun Barbados! For more than 10 years you have made Fun Barbados your choice for Barbados Travel information, and we thank you! We have packed our site with all the Barbados info you will ever need so you can make all of your travel plans BEFORE you get to our beautiful island home. We have tried to make the Fun Barbados site fun and easy for you to use. 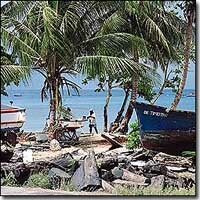 So kick off your shoes, grab a straw hat, watch out for falling coconuts, and welcome aboard! Barbados is the most eastern island in the Caribbean, and is a tiny dot on most world maps with an area of 430 square kilometres (166 sq miles). Barbados has a population of about 260,000 - which is quite high considering its size. With 97 kilometres (60 miles) of coastline, Barbados has much to offer its visitors in terms of water sports and beach activities: We hope you will be spending much of your day relaxing there! Discover the best of Barbados' accommodations, restaurants, car rentals, tours and shopping and find everything you need to make your holiday in Barbados unforgettable. Our newly expanded sightseeing section contains info on many of the places of interest on the island, and our Real Estate section has been reopened if you're looking to rent or own a piece of the Rock. Use the Barbados Events Calendar to find out when and where your favourite activity or sport is happening in Barbados, and even book them in advance if you want to be sure of partaking once you arrive in Barbados. It's time for you to discover why Barbados is the most enchanting of all Caribbean islands. Have fun, and happy exploring! 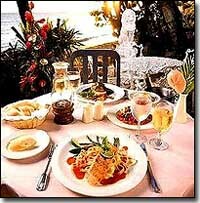 · Barbados Special Offers! Great Savings! · Barbados Events Calendar... Find out what's Happening on the island! · Movies & Cinema Guide... What's on at the Movies? 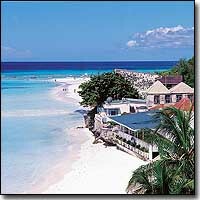 · Barbados Nightlife offers the best Bars & Nightclubs · Cruise Visitors Activities ...Fun for all! · Daily Activities & Weekly Events... Fun stuff to Book Online! · Mount Gay Rum Tours ...taste the magic!